Soft and cuddly might not necessarily be words you use when describing your iPad or iPhone but that will change when you meet the Totoya Ceatures. 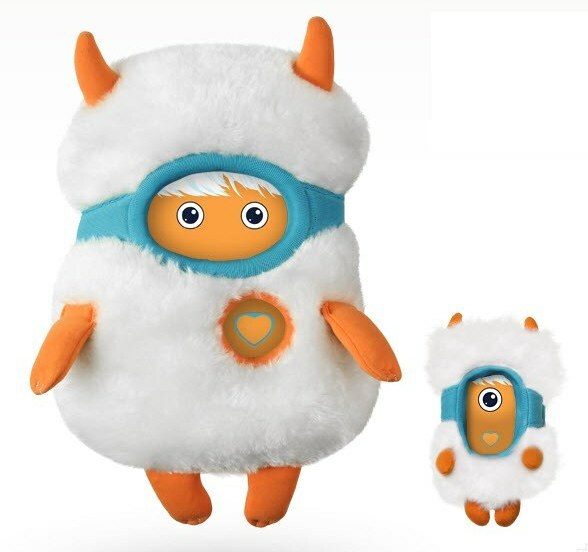 They may look like the plushest iPad cases ever produced but in actual fact the Totoya Creatures are interactive soft toys designed for a new generation of play. 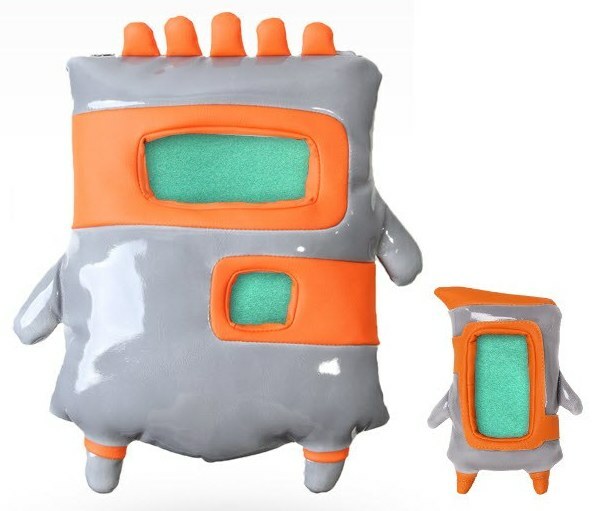 The Totoya Creatures – furry YetYet and sleek Robotto – completely envelop (and importantly, protect) your device while providing peeks at the display through a couple of strategic holes. 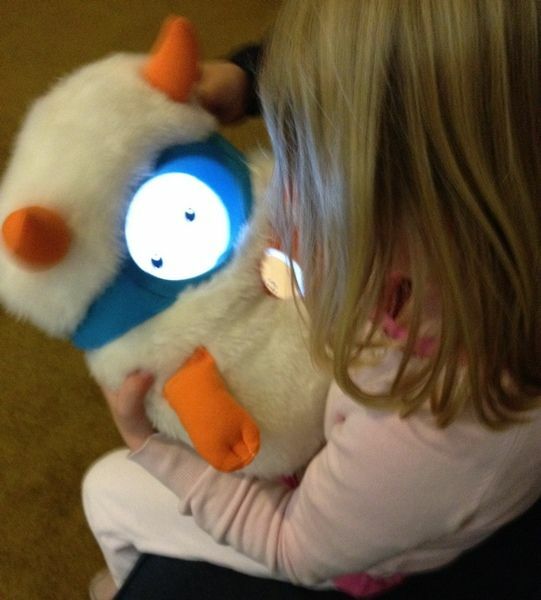 Run the accompanying free Totoya app and your plush iPad case comes to life with blinking eyes, sound effects and responses to what your child does. Hungarian designer Zsuzsa Gulyas describes the creatures like this – “Imagine a furry plush toy for toddlers, a friendly monster, that’s the body. Encased inside you have an iPad, running a specially designed app, that’s the “soul”.” Awwwwww! I set up YetYet for my kids, not telling them that the iPad was inside – their response when it spoke to them was surprise and delight and of course they thought it was magic. The number of seemingly random things that these creatures get up to holds kids’ interest. The chimes, tunes and noises (especially when you turn or shake your creature) provide lots of fun however it was the voice effects that won my four-year-old – speak to your creature and it speaks back! A lot of time has also been spent combingc our creature’s hair and giving it a few extra eyes (something the pre-school set finds particularly funny). Totoya Creatures are available for iPads for US$79.90 or smaller versions for iPhones for US$49.90. Delivery to Australia is available. Once you have your creature, download the app via iTunes for free.